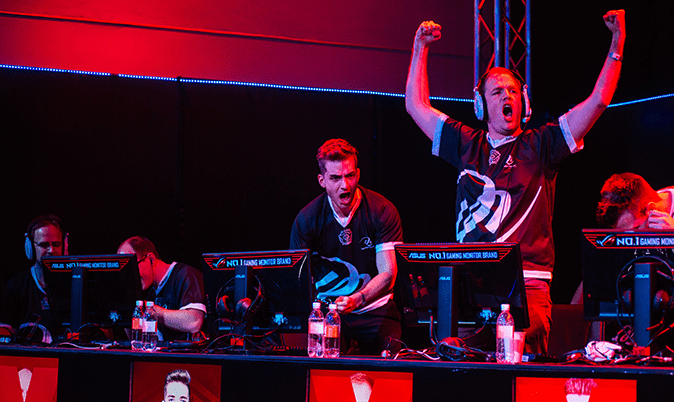 One of the world’s biggest and most popular social sport and entertainment festivals, the Cape Town 10s, has partnered with Mettlestate and Out The Box Events to bring you an all-new sporting division – esports. The 11th annual 10s event will return to Green Point Cape Town from 1 to 2 February 2019, featuring a winning blend of the tried and tested sporting disciplines but this time with an esport element that showcases the often hidden world of competitive PC and console gaming. It is the fastest-growing sport in the world and Cape Town 10s is following the trend. The teams will be playing a competitive game of Counter-Strike: Global Offensive. Known globally as one of the biggest esports worldwide, Counter-Strike sees two teams (known as the terrorists and counter- terrorists) stop the other from completing their goal. The Terrorists must plant the bomb and protect it, while the Counter-Terrorists try and stop that from happening. The premise is simple, but the action is rampant, so come along and witness a whole new element of competitive sport that is usually locked behind closed doors but which is estimated to have a global audience, live and online, of more than 600 million in 2019. In addition to the exciting matches that will take place all day on both days, the Cape Town 10s Esports zone will feature a separate bar run by Monster Energy and a covered lounge area. See if you have what it takes to be a professional gamer while sipping on cold beer and soaking up the 10s vibe! “We are really excited to announce the launch of Esports at the 10s. 10s is all about offering people from all walks of life, level of skill and fitness the opportunity to compete in sport, make friends, relax and have fun in an environment where the experience of the contestant is the number one priority. Four years ago when we piloted netball at the rugby-only event we had no idea that its popularity would outstrip that of rugby, we hope esports will go the same way,“ says Gerhardi Odendaal, CEO of Old School Group. The addition of this exciting new sporting division will attract a different fan-base to the event that has captured the hearts and spirit of our sports-mad nation since 2009. All of this will be in the presence of the world’s biggest sporting legends, with the backdrop of an iconic host city. Team entries for a number of sports are already sold out and event tickets are expected to fly. Hurry along and get your tickets to one of the Top 5 and most epic weekends in the Mother City. The event is owned and proudly managed by Old School Group.